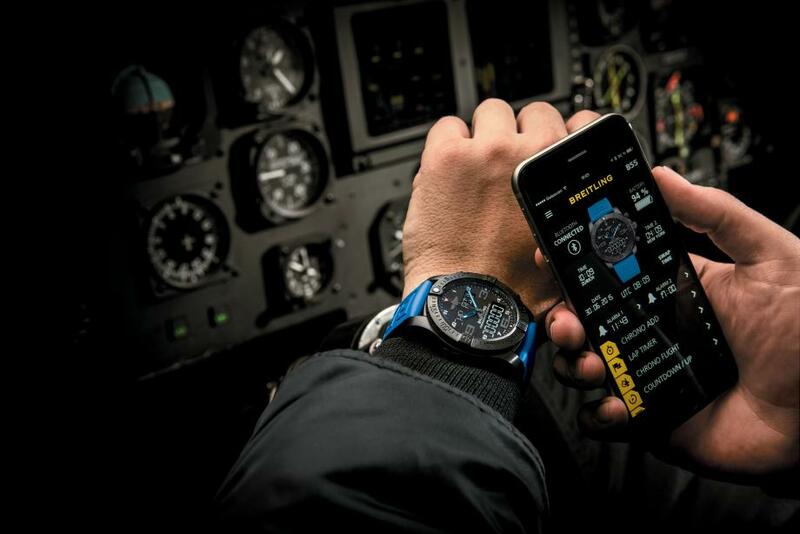 In creating its first connected chronograph, Breitling has applied a new philosophy placing the smartphone in the service of the watch so as to enhance its functionality and user-friendliness. 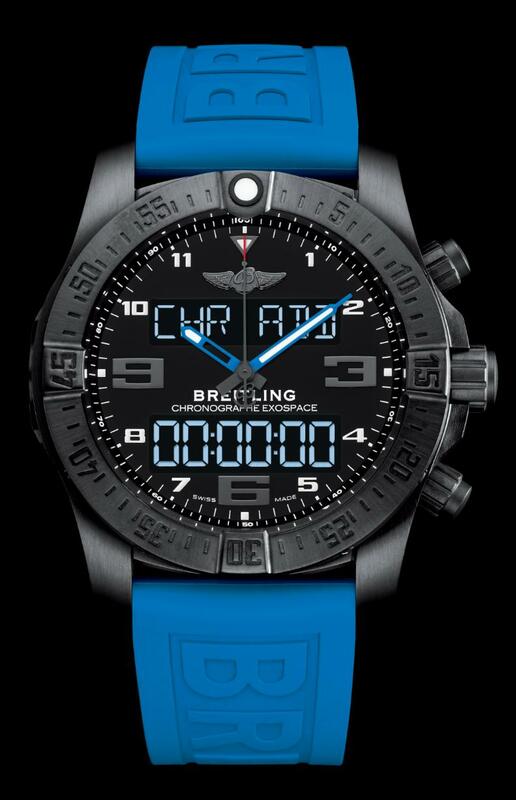 Performance is Breitling’s leitmotif in each of its technical advancements. It was also the core driver for the brand in developing its first connected chronograph. There was no question of turning a watch into an extension dependent on a smartphone yet less efficient than the latter. The chronograph remains the absolute master and the connection is primarily designed to improve its functionality. Two-way communication enables the two instruments to form a perfectly complementary pair in which each is used for what it does best. Since the main assets of a smartphone are its screen and its ergonomic interface, owners of the Exospace B55 can use their phone to perform certain adjustments (time-setting, timezones, alarms, display and operating parameters, night mode). The result is a considerable gain in comfort and efficiency. Conversely, the user can upload from the chronograph to the smartphone the results of various measurements (flight times, recorded times with split times, lap times, etc.) so as to be able to read them more easily, store them or pass them on. The new connected watch system devised by Breitling thus facilitates the use of the chronograph functions, in keeping with the spirit of authentic instruments for professionals. An authentic life companion, the Exospace B55 multifunction electronic chronograph also receives notifications of the smartphone’s incoming emails, messages (SMS, WhatsApp) or phone calls (with caller’s name or number) as well as reminders of upcoming appointments. The case, in black titanium, measures 46mm. It has an AR-coated sapphire crystal and it is water resistant to 100 meters. Movement is the Swiss quartz Breitling in-house caliber B55, officially chronometer-certified by the COSC, thermocompensated SuperQuartz, analog and digital 12/24-hour LC backlit display. 1/100th of a second chronograph, Coordinated Universal Time (UTC), Countdown/Countup (or MET Mission Elapsed Time), flight time chronograph, lap timer chronograph, electronic tachymeter, countdown, 2nd timezone, 7 daily alarms, perpetual calendar with week display, and battery change indicator. It is powered by a rechargeable battery system. takeoff and landing times (Block and Flight Times functions). The dial is Volcano black with luminescent hands and indices. User-friendliness is enhanced by a particularly simple and logical control mode, involving function selection by rotating the crown, and activation/deactivation by means of two pushpieces. The two ultra-legible LCD (liquid crystal display) screens feature a backlighting system that may be activated merely by pressing the crown or when the user tilts his wrist at a more than 35° angle (Tilt function) that proves particularly effective when the hand is gripping aircraft controls or a steering wheel. 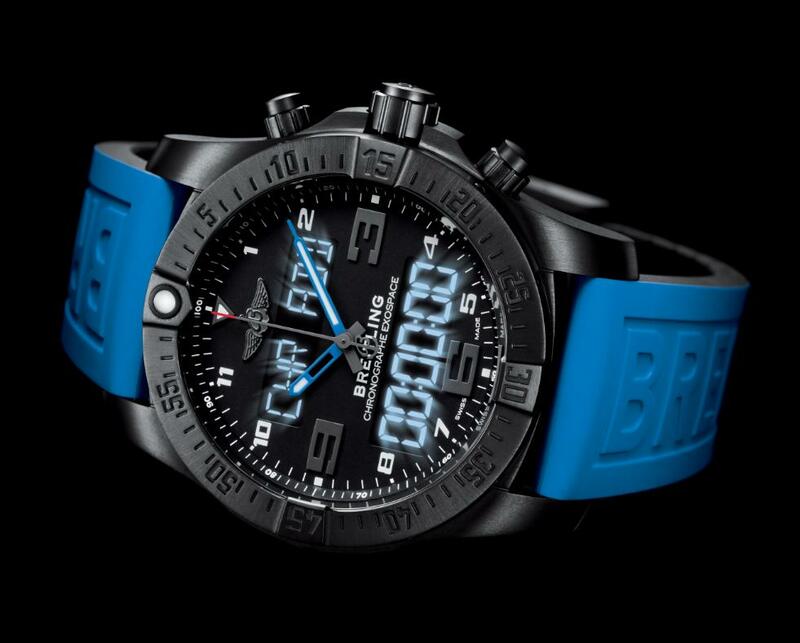 I would like to know the price for a replica of a Breitling Exospace B 55. Cool design, I like it. Hello, your Breitling Exospace B55 Replica Watches are so clever.